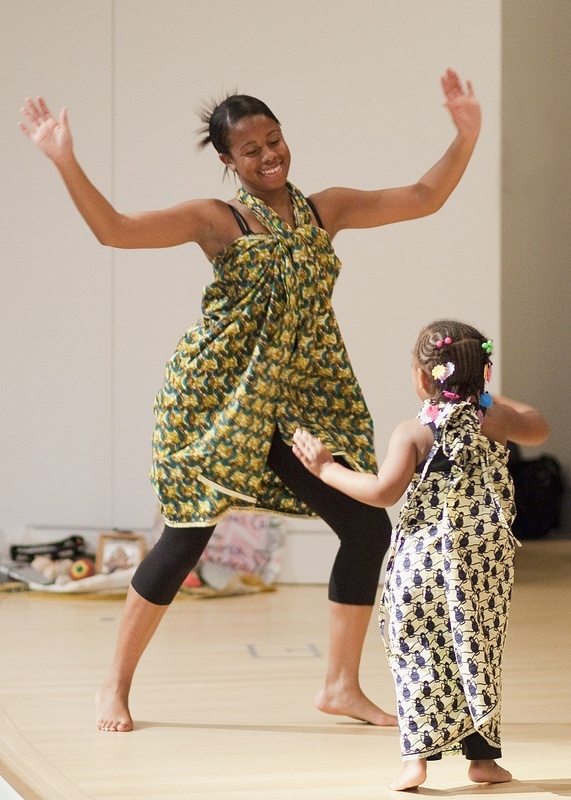 (Sacramento, CA — February 6, 2019) This February, the Crocker Art Museum is celebrating Black History Month by inviting the community to connect more deeply with African American culture at a FREE family festival on Sunday, February 17. Through a diverse program of live performances, film screenings, activities, and the exploration of a major exhibition featuring artist Jacob Lawrence, this one-of-a-kind celebration affords visitors an opportunity to appreciate cultural contributions and resiliency of African Americans as well. The Crocker is known for programs that build and strengthen community through art. To further this mission, the Museum hosts several free festivals each year, which take inspiration from the Museum’s vast and diverse permanent collection and/or traveling exhibitions that the Museum hosts. At each festival, Museum educators curate a program of live performances, hands-on activities, art tours, mini talks, maker activities, marketplaces, and a variety of immersive experiences that engage, connect, and inspire. These rich cultural celebrations bring the community together, fostering pride, education, and connection. While the Crocker has led the celebration of Black History Month in Sacramento for the past several years, the Museum's Jacob Lawrence exhibition has made this year’s festival an even greater occasion. A rare Sacramento appearance by Thrive Choir, a diverse group of vocalists, artists, activists, educators, healers, and community organizers based in Oakland, California who describe themselves as “born to sing the music for the revolution. A special “Dancing Through History ” presentation by The BlyueRose Dance Project exploring African American history and contributions through music and dance. A mesmerizing puppetry with multi-media performance of "Small Shoulders/Big Dreams II: Ruby Bridges & The Four Freedoms" by Deborah Pittman based on Ruby Bridges, civil rights activist and American hero. This work explores Ruby’s experience desegregating the William Franz Elementary School at six-years old. Her experiences are seen through the lens of FDR’s Four Freedoms. In collaboration with Cine Soul, the Crocker Art Museum’s all-day Black History Month Festival will end this year with a special classic film presentation. In the Heat of the Night is a multiple academy award-winning film about an African American Philadelphia police detective Virgil Tibbs, played by Hollywood icon Sydney Poitier, who is drawn into working a murder case in segregated Mississippi with a conflicted police chief (Rod Steiger). This film is free and seats are on a first come, first served basis. This event is a passion project of the Crocker's director of education, Stacey Shelnut-Hendrick. To arrange a conversation with Ms. Shelnut-Hendrick or others involved with this cultural celebration, or to arrange for media access during the event, please call (916) 808-1867 or email kchristian@crockerart.org.